Click/tap here to find the best South Carolina pilates studio for your needs! An intimate setting Pilates Studio with 3 reformers, EXO chairs, Mat, Springboards and other small apparatus. Comprehensively certified pilates instruction. 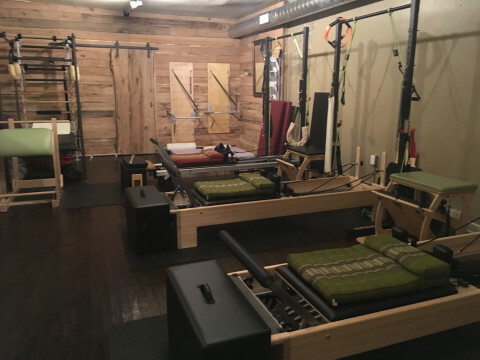 Private reformer, chair & springboard sessions in small intimate setting which is ideal for mindbody connection. Pre/Post natal, Active aging, Athletic, Post injury personal training. The most unique Pilates experience in the Charleston area. Precision focused fitness. At M Body you will learn to do each and every exercise safely, with proper form to achieve your fitness goals! 2005 Peak Pilates Professional Certification. Also an RN @ Medical University of South Carolina. Home studio Southeast Pilates 310 Broad Street.